This workshop is for the creative ones among you! The use of scissors, glue and a soldering iron should not scare you, and the eagerness to try new things should be your second nature. 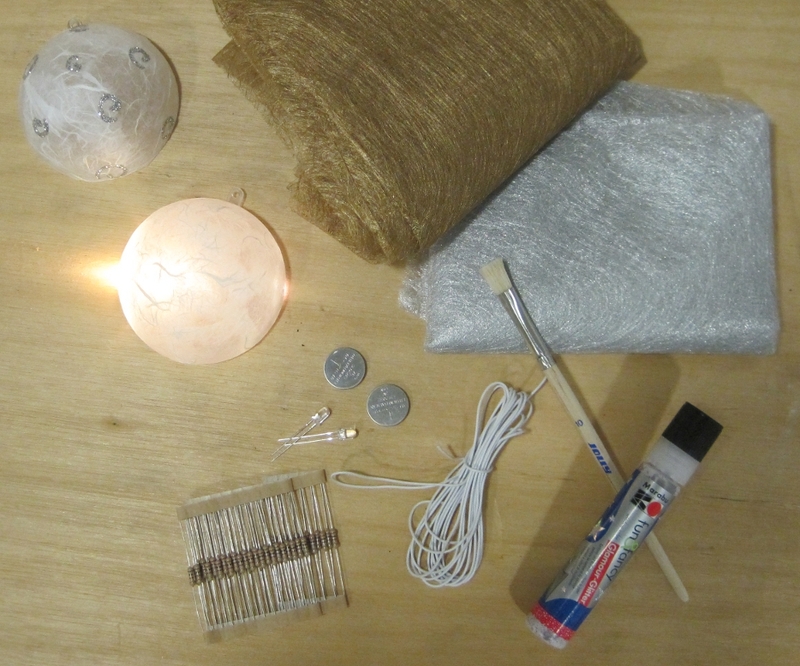 We will be working with paper, glitter pens, LED lights, resistors, wires and plastic spheres. The fun will last the whole afternoon, and 15€ will cover all your material costs. This was written by admin. Posted on Sunday, December 19, 2010, at 10:20 am. Filed under Calendar Event. Tagged crafting, innovation dublin, science week, Workshops/Events. Bookmark the permalink. Follow comments here with the RSS feed. Post a comment or leave a trackback. I had an awesome afternoon. I definitely recommend this! Lotsa fun!